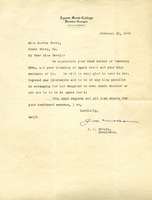 Martha Berry invites Admiral Richard Byrd to come speak at Berry while he is in Atlanta delivering a lecture at Agnes Scott College. 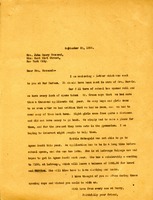 Jane B. 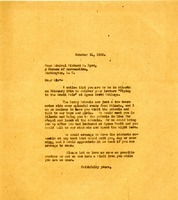 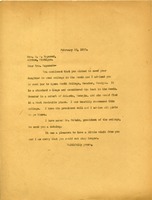 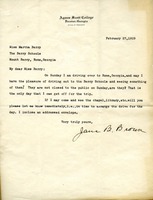 Brown writes Martha Berry to ask if she can come visit the Berry Schools when she is in Rome, Georgia. 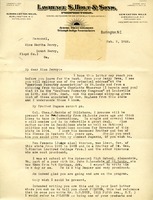 Martha Berry reccomends that Mrs. Raymond sends her daughter to Agnes Scott College in Decatur, Georgia. 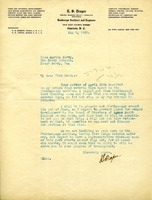 Mr. McCain will send literature to Mrs. Raymond about their school.